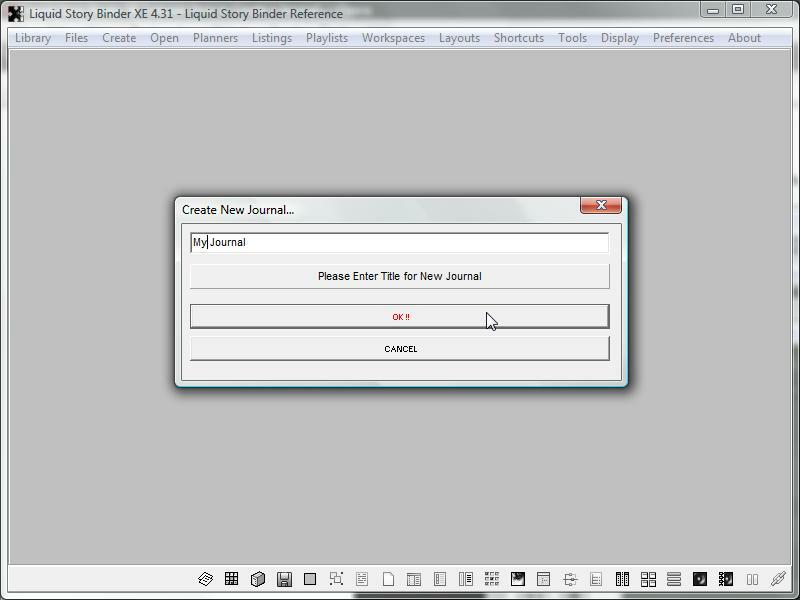 To create a new Journal, choose 'New Journal' from the main 'Create' menu. Enter a title for your new Journal and click the 'OK!!' button. A new Journal window will open. 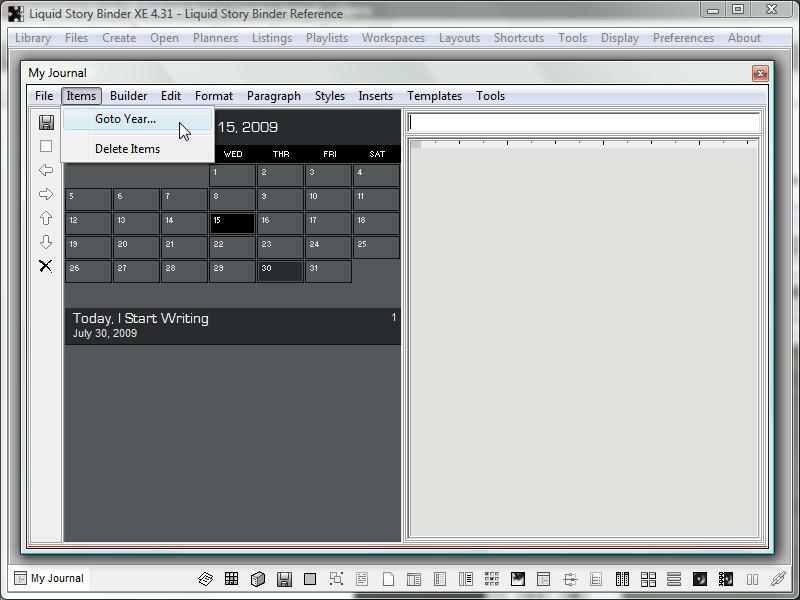 Begin a new entry by entering a title in the edit box located above the document ruler. 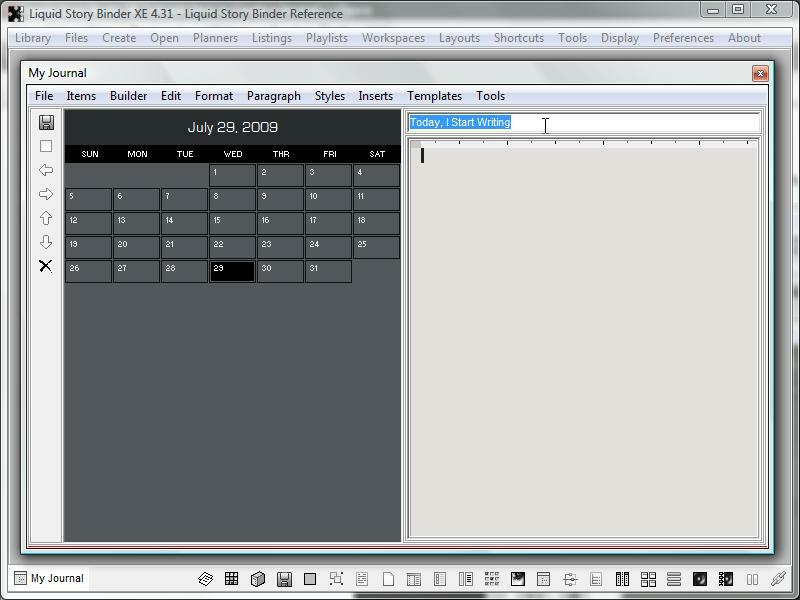 Click the SAVE icon to add the new entry to the Journal Date Listing. Start writing your Journal entry for the selected date. Enter the text of your entry in the box below the entry title. Click the 'Save' icon to save your changes and update the date listing. Use the Journal's toolbar to quickly jump to today, back one month, forward one month, back one year, and forward one year. Select a specific day using the Journal calendar. To go back into time, or jump ahead to the future, choose 'Goto Year' from the 'Items' menu. 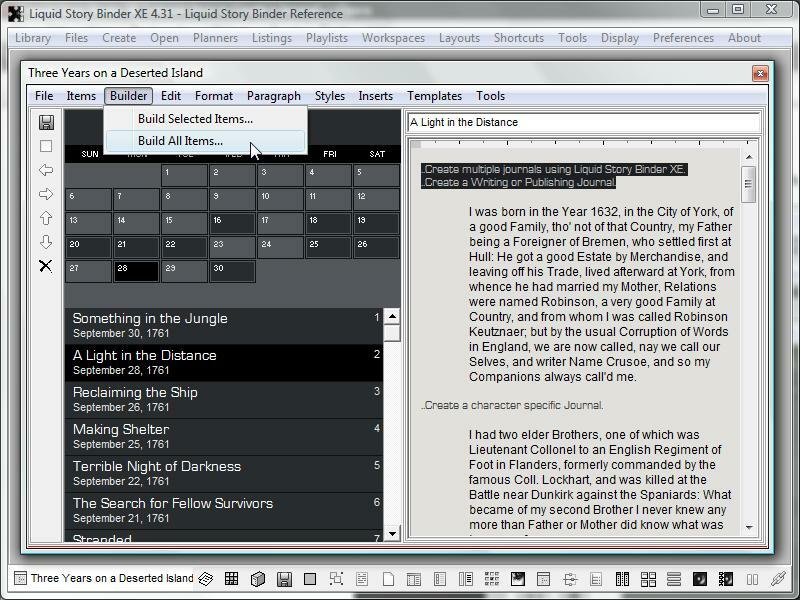 Liquid Story Binder XE allows you to create multiple Journals. 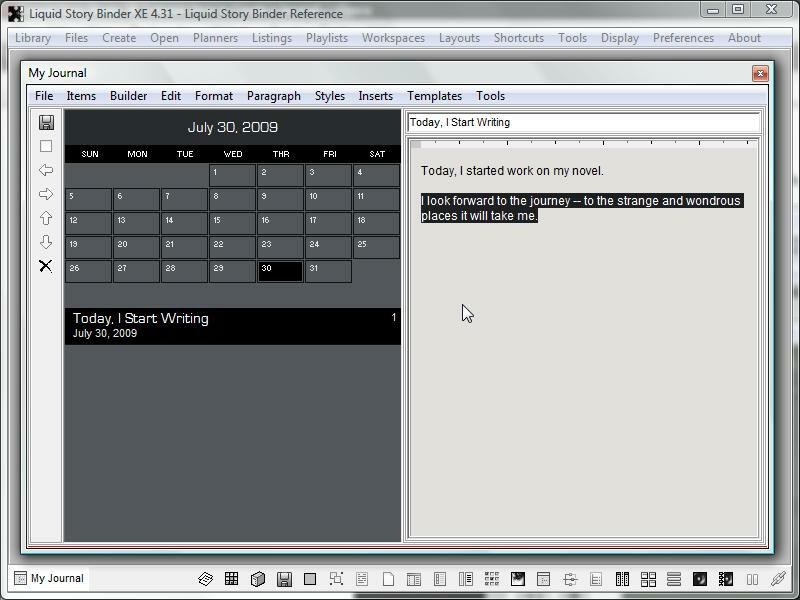 Start a daily writing journal, or go back into the past to tell the story of a fictional character. 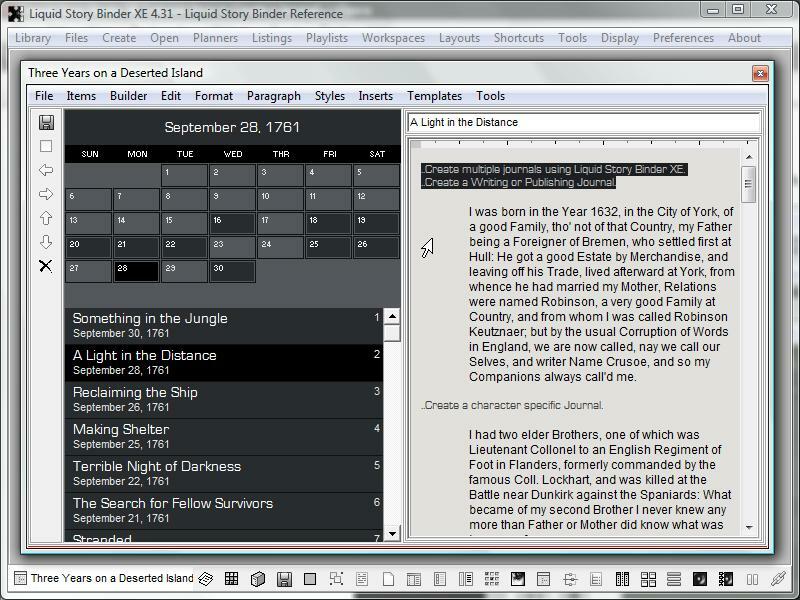 Turn your Journal entries into an unified Chapter document. 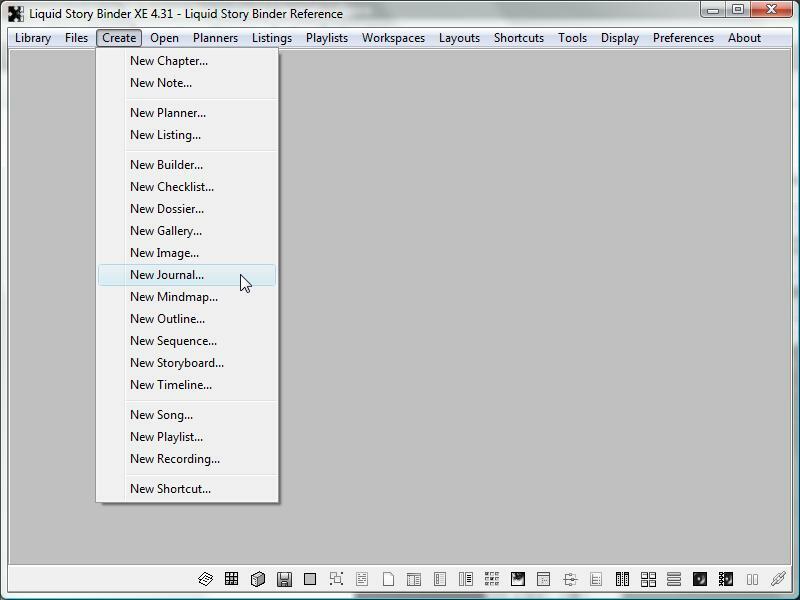 Click 'Build All Items' from the 'Builder' menu. To add entry titles and dates, make sure to choose 'Build With Document Titles' and 'Build With Document Descriptions'. 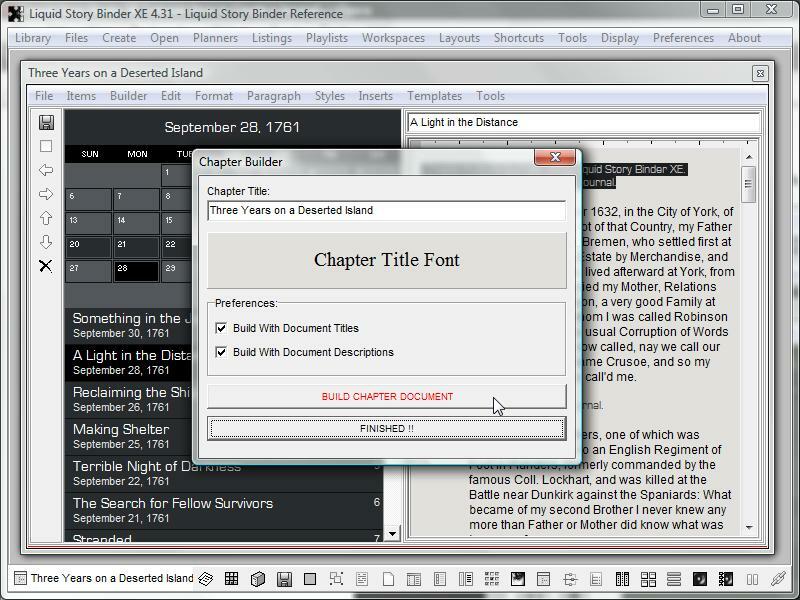 Click the 'Build Chapter Document' button to combine your entries.